It has been my pleasure have served as a classroom teacher for the last four years. I teach seventh grade math and math intervention courses and have a passion for inspiring students. One of my core beliefs as an educator is in the potential of a person and working against negative beliefs students hold about themselves (academic or otherwise) is part of my purpose in the classroom. I value agency and a growth mindset in all my students. I want what my students learn in my class, mathematics or otherwise, to serve them well for years to come. I received my single subject credential from Sonoma State University and the blog you are reading this on exists because of my current work in Touro University of California's Master of Education program. The program focuses on Innovative Learning and, through a partnership with NapaLearns, equips teachers to make transformational change in classrooms and schools to better prepare students for the 21st Century. The world of education is rapidly changing to meet the demands of the constantly evolving 21st Century society and workplace. It is our job as educators to evolve with it, to improve our educational practices, and instill lifelong learning in our students. I entered the program with a specific set of goals. My district and site are fairly advanced in PBL and 21st Century Learning. We are, in some ways, right at the front of instructional practice, always trying to integrate new things. So, when enrolling in this program, I had a very "big picture" mindset. I wanted to become a better teacher leader. I wanted to become fluent with some new tech tools. I wanted to explore building educational projects, perhaps develop something that could serve other educators. I wanted to work beyond my own classroom, preach growth mindset and problem solving to as many people as would listen. My time with Touro made me reconsider many elements of educational design and showed me how much more there is to achieve within my own practice. I still have the goal of working past my own classroom. I still want my work to impact other teachers and the way they design their learning environments. I am still a strong believer in growth mindsets and student agency as some of the strongest tools we have to work with as educators. However, doing the action research and beginning to build my capstone has changed my perspective some. While researching Dweck and Gallagher and Boaler in deeper detail, I found a passion for trying new things in my own classroom again. Sometimes I feel like it is easy to forget all the other cool resources and research going on in the world and just focus on improving the magic at your own site. So, while my capstone had not actually changed in terms of scope or topic, I began approaching it through a more experiential method. I am pushing my own classroom even more as I think about how I want to develop this broad toolkit for teachers. I would compare it to getting new toys as a kid. I can't wait to show them off to all my friends, but I want to play with them a bit myself first! My biggest take away from the Innovative Learning Program came from our studies on design. So often, teachers can forget what it is like to be ten year old learning how to solve a two step equation for the first time. Or perhaps a more realistic example is teachers forgetting what is like trying to understand multiplication or division. We need to design our lessons to be an information system built to meet the needs of our students. Working backwards to that place where you have no foreknowledge is incredibly challenging! Backwards design has become an essential part of education, but it needs to go a step further. How does the classroom look from the student perspective. What resources and choices do they have? What are their access points? Are the access points accessible? Another bit of lasting learning for me is simply that technology is not nearly as big a mountain as it seems. I imagined that creating videos would be more difficult than it turned out to be. I believed that creating a website and formatting it and interlinking it would be maddening and never ending. However, everyone in my cohort of different ages and experience levels built a blog and created video products. I find it similar to my work in audio engineering. In the beginning, a sound board can seem quite intimidating. However, there is sense to it. 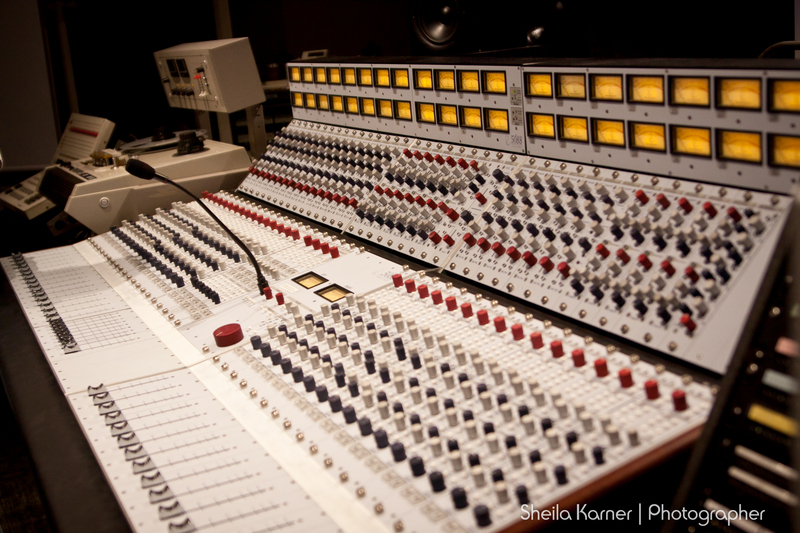 Sound boards are not randomly put together and neither are digital tools available to educators. We can overcome the digital void and become pioneers with this technology. Any teacher at any point in their career can become an innovator and revolutionize their practice!